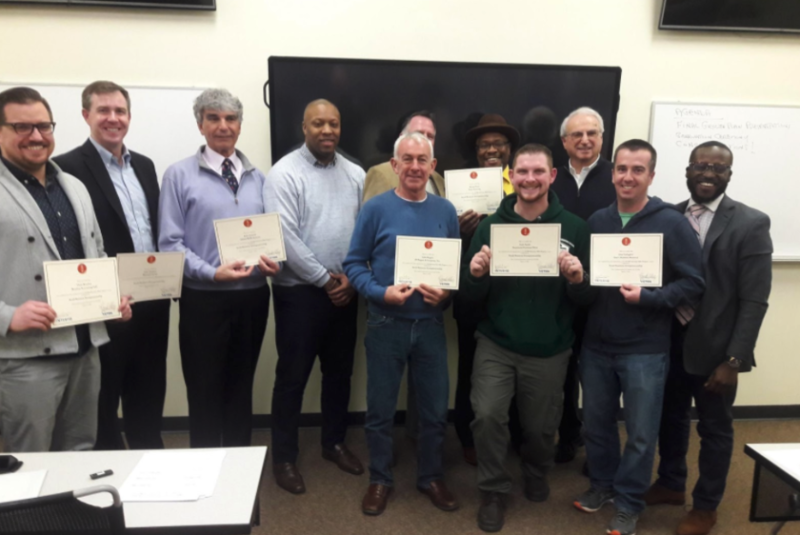 FRANKLIN, MA- FRANKLIN, MA- On March 3, 2018, nine military veteran entrepreneurs earned their certificates after successfully completing the VETRN Streetwise MBA program at Dean College offered through a partnership with Interise, a large, Boston based nonprofit. The rigorous 13-week program, which is free to veteran-owned small business owners and family members, was designed to build a three-year growth plan, including management, financial analysis, cash flow management, sales 7 marketing and operational expertise. The goal of the program is to enable the veteran participants to build revenue and profitability and create a sustainable business growth plan for these entrepreneurs and former service members. The VETRN program is presented exclusively for veteran cohorts and is based on the award-winning Emerging Leaders curriculum taught by Interise in over 70 cities across the USA on behalf of the Small Business Administration. Owner of Shamrock Overhead Door, Josh Smith, an Army veteran who served in Afghanistan, said he found the program to be extremely worthwhile. “Through this program alone, I was able to grow an additional 45 percent in revenue within a short time,” said Smith. “Knowing the ins and outs of business, while meeting key contacts helped Shamrock Overhead Door to grow. I would highly recommend this course to veterans or spouses and family members of a veteran-owned business, “ he said. The course culminated with each participant presenting their three-year growth plan, demonstrating proficiency in the comprehensive business growth drivers necessary to become successful. The program includes providing Mentors for every participant, peer to peer mentoring and presentations by highly experienced guest lecturers, all of whom are leaders in their respective fields. One of those featured speakers was Charlie Liberge, President of Jones &amp; Vining, who said he was honored to participate in the program. “Having the opportunity to work with the VETRN organization has been an outstanding experience,” said Liberge. “The ambition, desire to succeed and willingness to learn demonstrated by each student only adds to the satisfaction felt by those who participate as presenters and mentors,” he added. 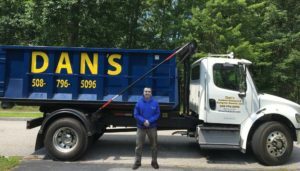 Dan Gallagher, a Marine veteran and owner of Dan’s Rubbish Removal and Dumpster Rental, also said he felt very positive about his experience and would highly recommend the VETRN program to other veteran-owned small businesses. “It’s a phenomenal class and I would recommend it to any veteran running a business,” said Gallagher. “You learn so much from Lee, the guest speakers and your veteran classmates,” he said. The Small Business Administration District Director, Bob Nelson, awarded Goldberg the prestigious SBA District Director Award in November 2017 for his outstanding contribution to the entrepreneurial success of veterans and small businesses throughout Massachusetts and the New England region. Copyright 2016 & Beyond. VETRN Inc - a 501 C3 Organization. All Rights Reserved.